The art of feng shui in contemporary western homes is often relegated to the bedroom and the living space. While it is true that the bedroom holds a significant place in determining the overall energy flow of your home and your wellbeing, it is only one of the three rooms that help in creating positivity inside your house. The other two rooms making up the essential trio are the bathroom and the kitchen. 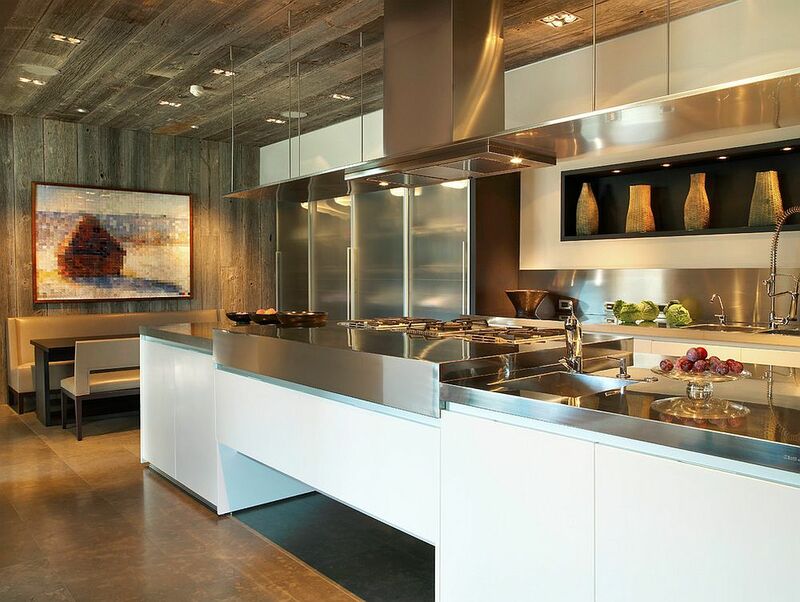 It goes without saying that the kitchen is the heart and soul of the house; it’s driving force. 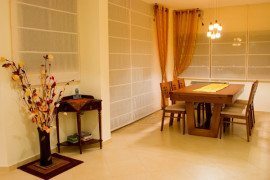 It has always had a prominent place in cultures across the world when it comes to home design and overall ambiance. 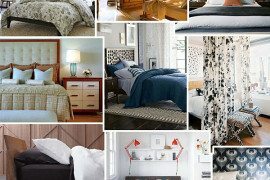 So, it makes plenty of sense to improve it with the right feng shui tips! 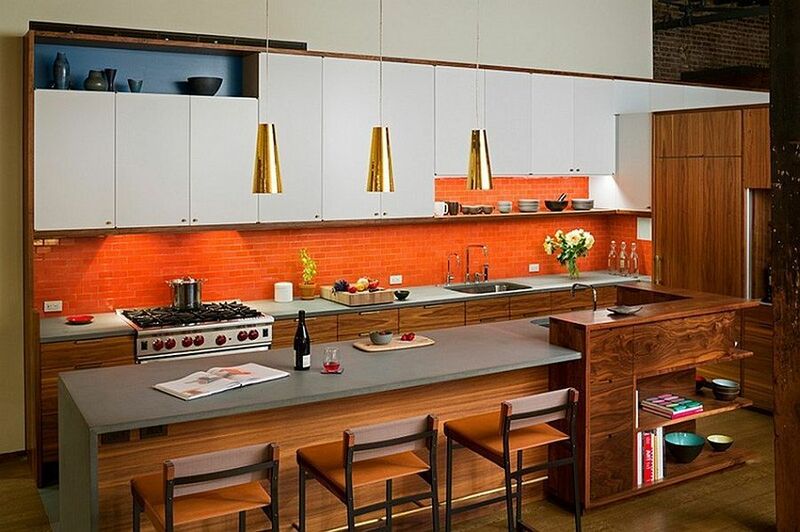 When it comes to kitchen colors and feng shui, things are not always simple and straightforward. 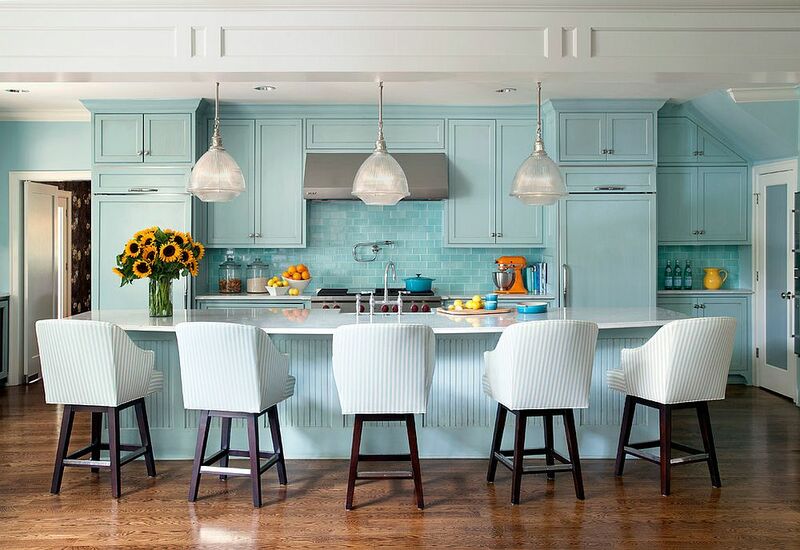 The color you use in the kitchen is traditionally defined here by the placement of the kitchen in your house. 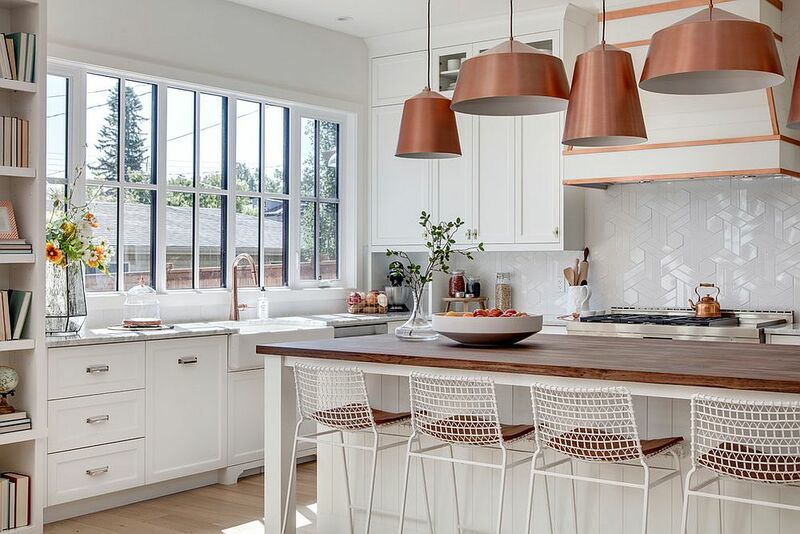 This generally means a kitchen in the south area of your house can embrace warmer, fiery colors like red and orange while one in the west demands more warm, earthy tones like brown and gray. 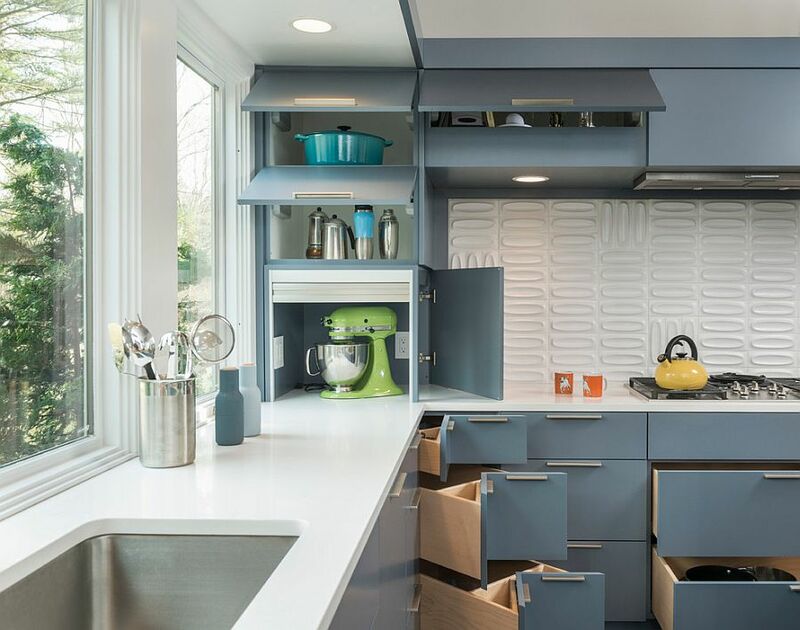 Lighter shades of blue and gray are best for kitchens in the north section of your home with a healthy dose of green in its many tints ushering happiness into the kitchen nestled in the south section of your home. It goes without saying that any space with a positive flow of chi requires a clutter-free and organized environment. This is no different in the kitchen as well. Make sure you replace anything broken or chipped with new dishes and serveware. Sharpen those dull knives and scissors and keep the counters clean at all times. 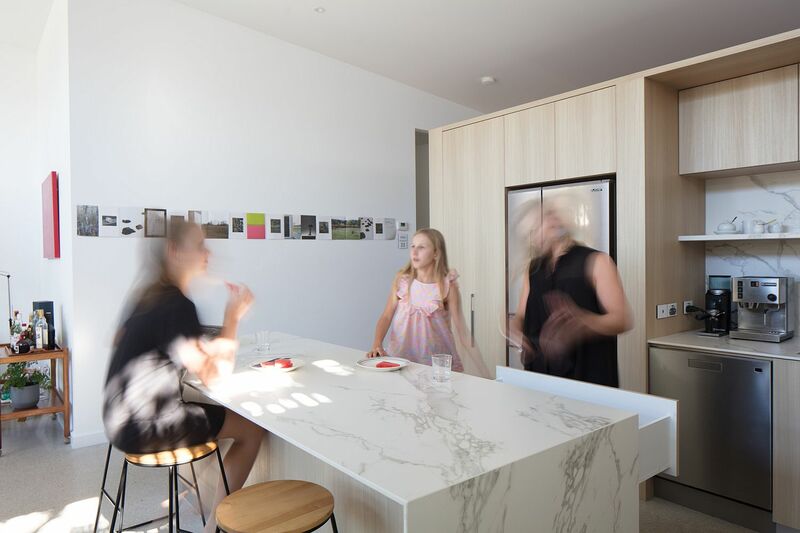 This not only creates a more harmonious kitchen but also one that is far more efficient! Yes, we talked about keeping the counters clean already, but go beyond just that by making sure that the counter only holds what you absolutely need. 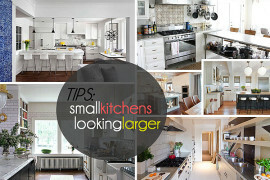 Kitchen counters stacked with appliances and kitchenware that you use rarely can become pretty congested and fast! 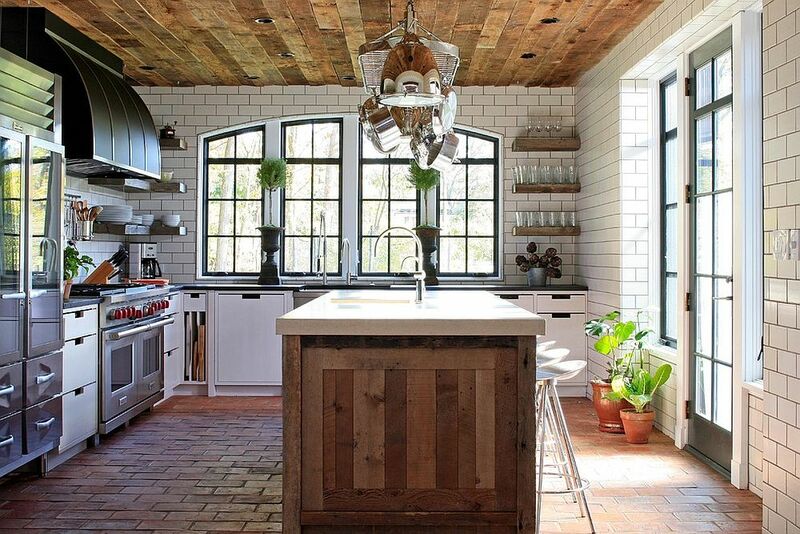 This also creates more working space in the small kitchen and gives it a spacious visual appeal. 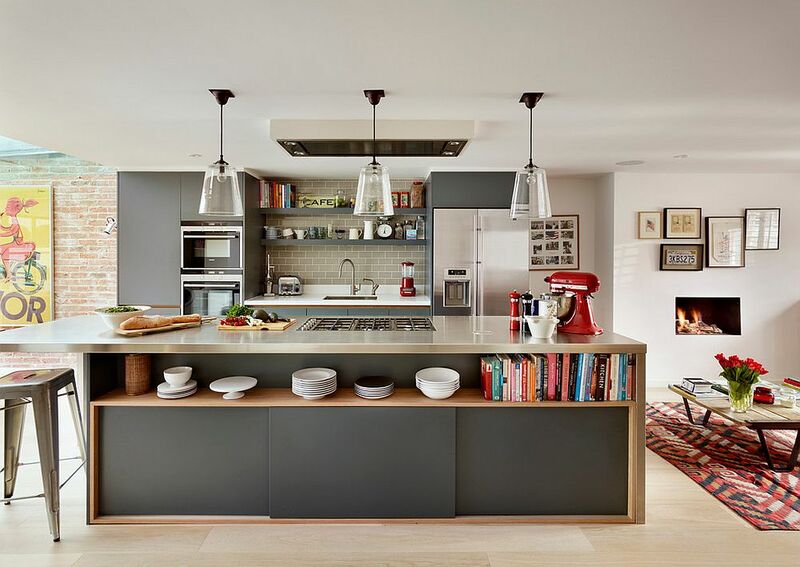 Feng shui allows you create a wonderful balance between closed kitchen cabinets and open shelving. For those who feel they are less organized, the frosted glass door shelves are a great option. 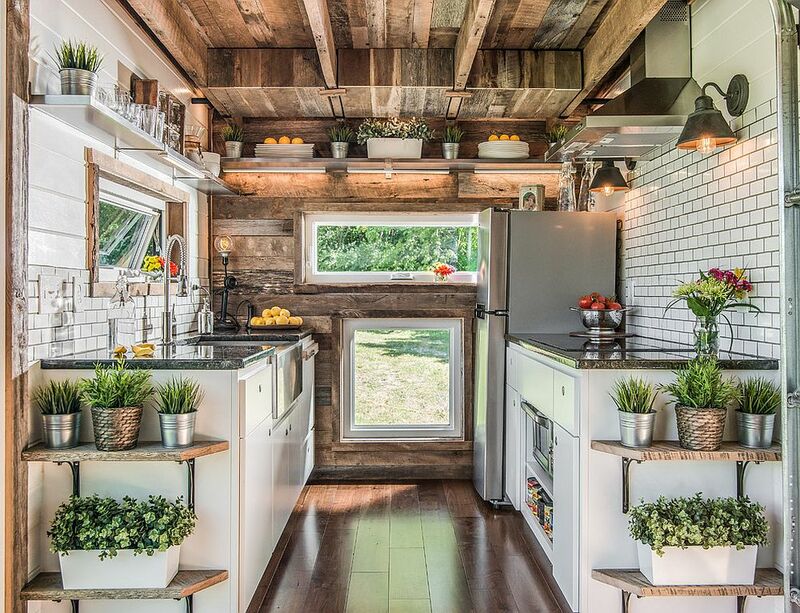 Maybe you can add drawers that slide out, lazy susans and floating modular units as well to make sure the storage capacity of your kitchen is improved without sacrificing square footage. 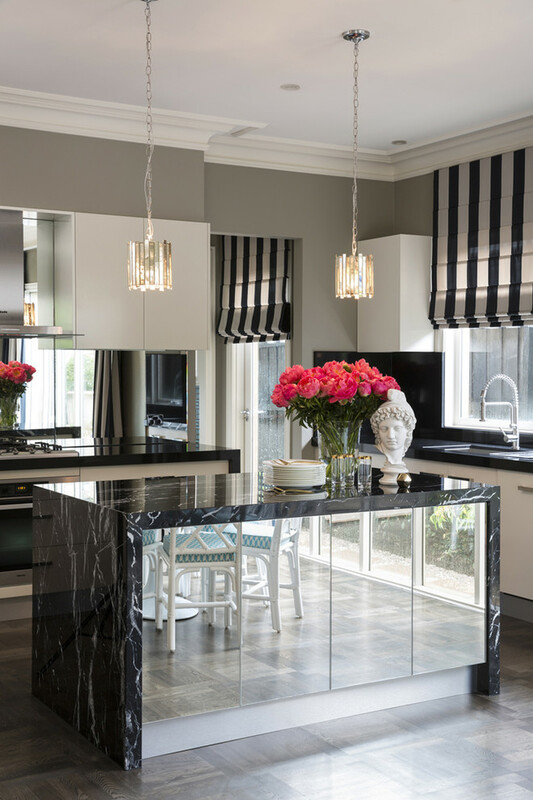 Mirrors are a great way to create additional energy in the kitchen and even if it is not for a want of space, a smart mirror in the corner always helps add to the mood of the kitchen. Combine the mirror with the right blend of task and recessed lighting and you have a pleasant kitchen that feels inviting at all times. 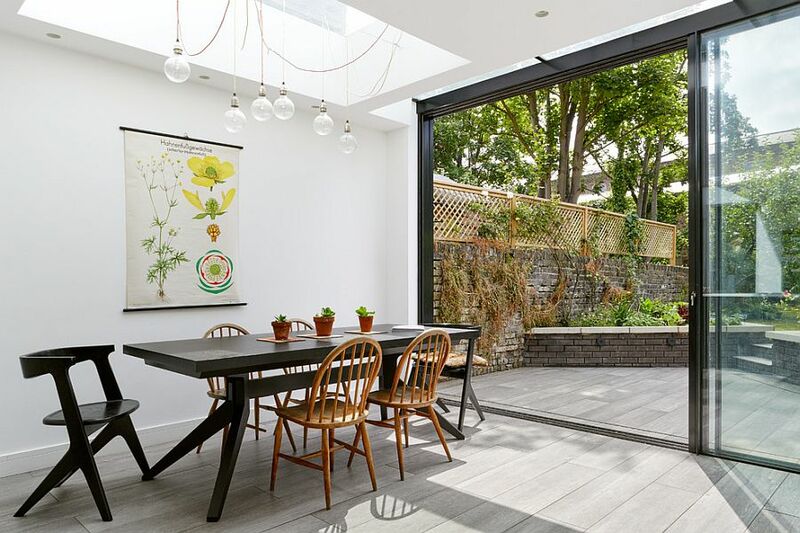 Of course, during daytime, you would want as much natural light as possible to flood into kitchen and large windows and sliding glass doors making this a reality. Kitchen is one room of your house where you do not really have to introduce any missing elements; everything is already there! Keeping your stove clean and functioning at all times is a basic that you simply cannot ignore. Use all the stove burners on a regular basis and create a kitchen that serves your needs in a precise fashion. 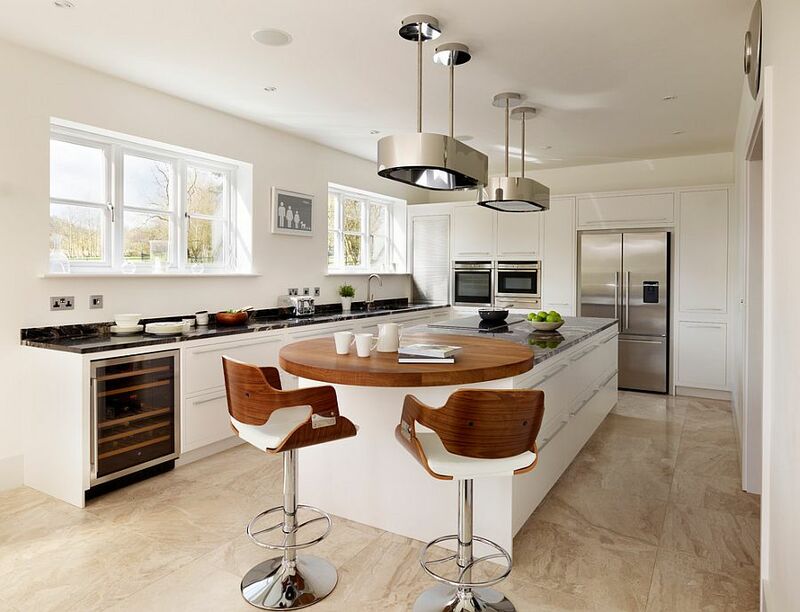 Having an expansive kitchen but using it rarely is definitely not a positive in the world of feng shui! 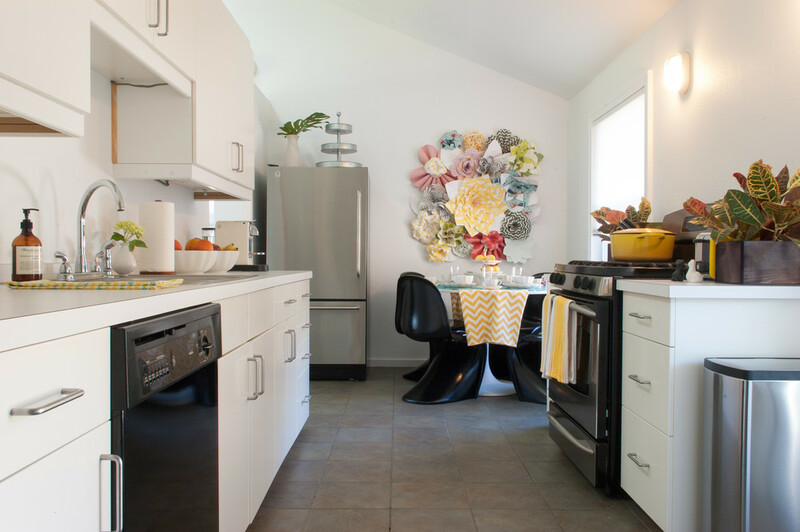 Wall art and pops of color can turn even the most mundane kitchen into an interesting and lively setting. 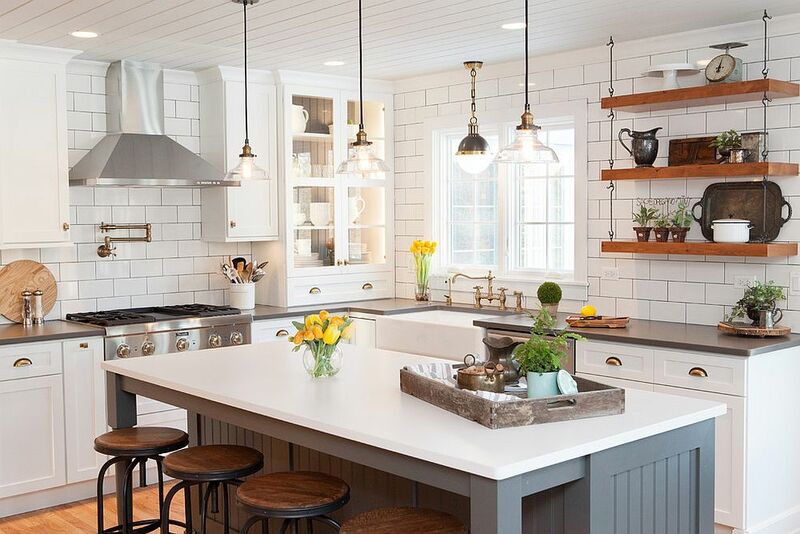 Be it a large classic wall art piece hanging on the accent wall or just a few framed, trendy botanicals that make a big visual impact; you can express yourself here freely and do so while improving the positive chi in the kitchen.